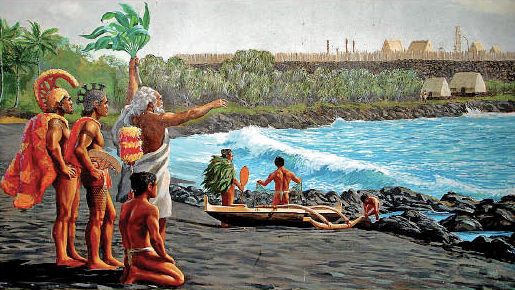 Ka Lae is accessible via South Point Road, a 12 mile paved narrow road leading from State Route 11 (Hawai’i Belt Road), the turn off being about 7 miles west of the village of Nāʻālehu and east of Ocean View, Hawaii This is said to be the first place the Ancients arrived in Hawai’i. If you look carefully along the shore you can see holes in some of the lava rocks that were used for mooring, carved holes from ancient times. 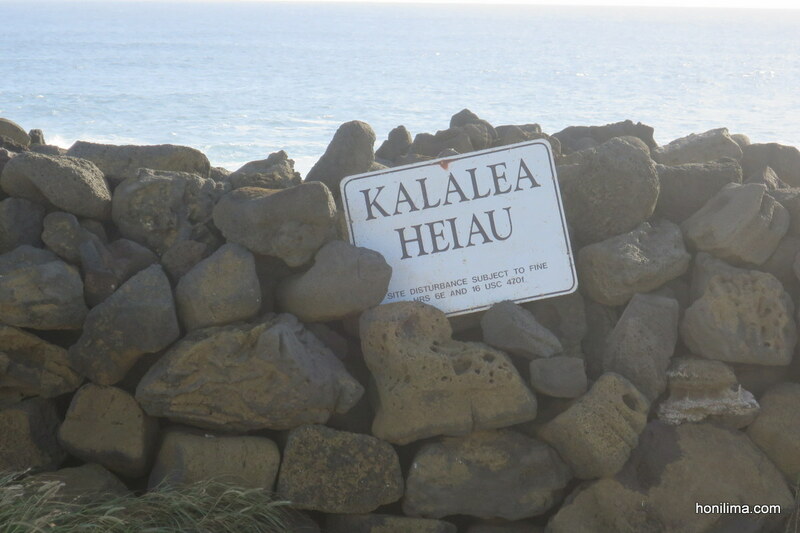 Kai Lae, means “the point” and there is a fishing shrine there known Kalalea Heiau or Hale o Kalalea. Because there was so much comings and goings offerings were left in this area as thanks for the safe ocean journeys. Women were not allowed (kapu). Please buy this fine book from you local bookseller in its revised edition for additional information about visiting this magical place. Swimming in this area is not recommended because of the intense current it is called the “Halaea Current” named after the chief who was carried off to his death. Beware!